This year's Universities, Polytechnics and Colleges (UPAC) Basketball Championship is due to commence in late February and end in April. The competition is set to tip off a few weeks after the Ghana Technical Universities / Polytechnics Sports Association (GHATUSA) Games take place. The multisport competition exclusively for Technical Universities and Polytechnics in Ghana is set to commence Friday, February 1 and end on Sunday, February 10 at the Accra Technical University (ATU). The Accra Sports Stadium and El Wak Stadium will act as auxiliary venues for the competition. 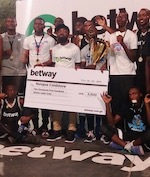 ATU has dominated the Male Basketball Division in the event previously known as the Ghana Polytechnics Sports Association (GHAPSA) Games and is heavily tipped to retain the title it won last year in Bolgatanga. However, ATU has not been so successful in the UPAC which features Male Basketball teams from all institutions in Ghana's tertiary educational level. 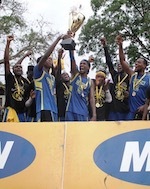 Despite winning back to back UPAC titles, ATU has lost in two finals and placed third in the last three editions. With UPAC starting after the GHATUSA Games conclude, ATU is aiming to use the latter event to fine tune tactics and get in top game shape prior to the start of UPAC. 2018 UPAC Quarterfinalists Takoradi Technical University and Sunyani Technical University are also heavily tipped to feature in GHATUSA Basketball's latter rounds.